Our Mini Trekking Perito Moreno Glacier Hike is the best way to get up close and personal with one of Patagonia’s most incredible glaciers: Perito Moreno. 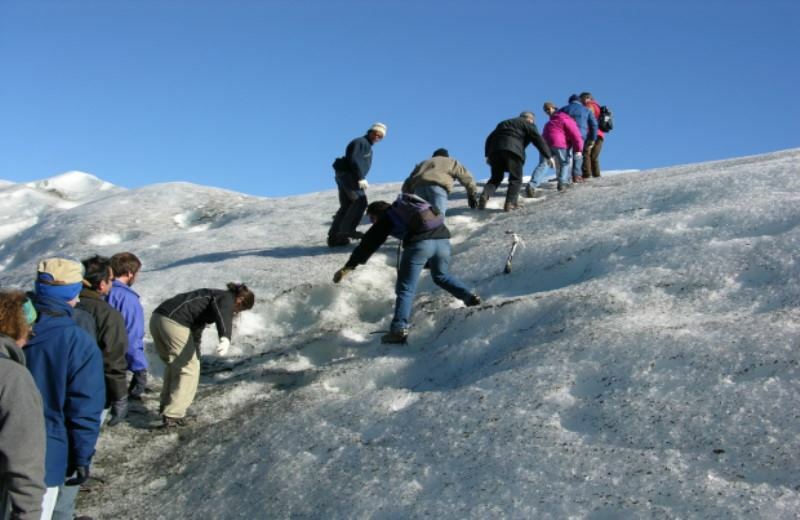 Our full-day tour will let you walk over the glacier itself and take you on a 20 minute boat trip, all accompanied by our specialist bilingual guides. You’ll also have access to the glacier viewing points, all situated at different heights to give you the best views from every angle. * Age: Only Between 10 And 65 Years Old. - Some Type Of Disability or Cardiac or other Health Problems. - Warm Clothes, Raincoat Jacket, Waterproof Trousers, Hiking Boots, Sunglasses, Sun Screen, Gloves, Hat, Backpack (40lts). 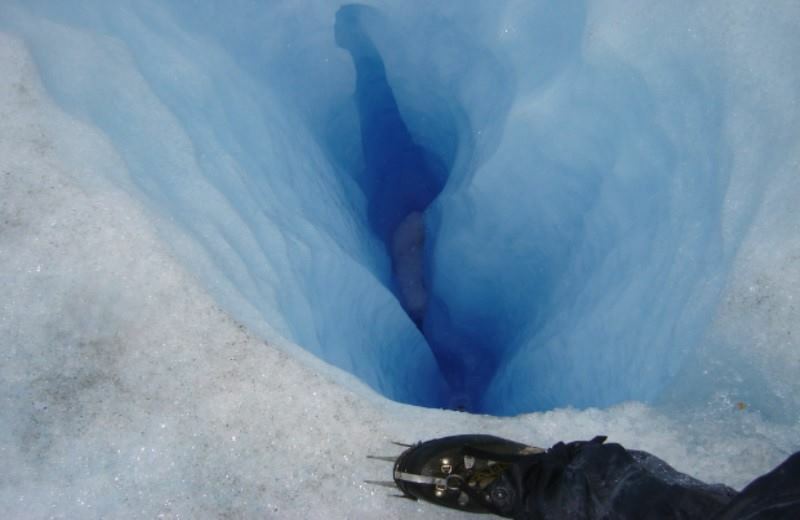 - The complete minitrekking perito moreno glacier tour with transportation from El Calafate takes around 10 hours. - The mini trekking runs from beginning of August up to first days of June. - The entrance to the National Park is not included and can only be paid in cash and Argentine pesos. The cost is ARS $ 700 (subject to changes without prior notice). We’ll begin our Mini Trekking Perito Moreno Glacier Hike tour by picking you up directly from your hotel in the morning. We’ll then travel around 80km towards the Los Glaciares national park. After about an hour of travelling, we’ll arrive at Bajo de las Sombras port, which sits around 6km away from the glacier viewing points. From here, we’ll hop onto a modern, comfortable boat and sail along Brazo Rico for 20 minutes or so, getting some incredible views of Perito Moreno’s front wall. When we arrive at the other side, we’ll be welcomed by our specialist bilingual guides as we hop off the boat and are led to a small shelter. 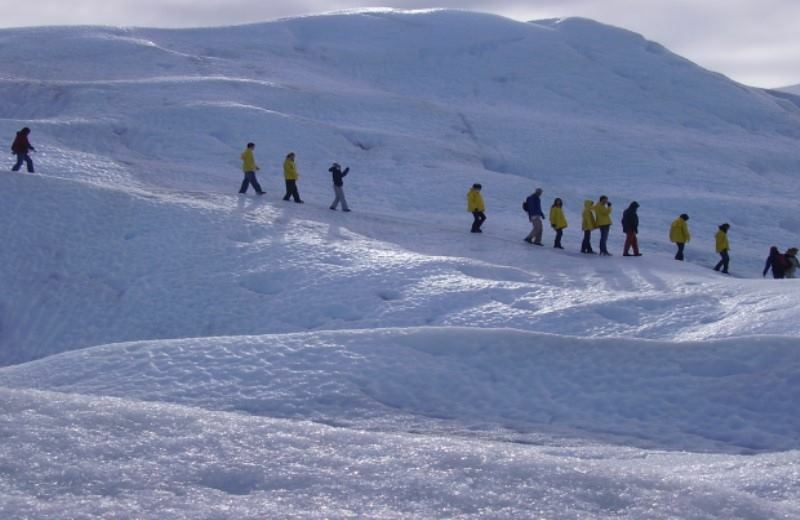 After checking everyone’s details (you’ll be in a small group of no more than 20), the guides will lead us along the shore towards the edge of the glacier. Once we’re on the ice, the guides will give us each a set of crampons and explain how to use them. Ready to go, we’ll set off on our 2-hour minitrekking circuit. We’ll see some incredible scenery around the glaciers: streams, little lagoons, ravines, crevasses and some gorgeous ice structures. The ice surface is uneven but firm which only adds to the uniqueness of the experience. Throughout the hike, you’ll hear about the nature, animals and glaciology of the area, as well as about the strange phenomenon of Perito Moreno which will cause its eventual fracture. After our hike, we’ll head through the forest to get back to the little shelter, from where we’ll hop back on the boat and sail for another 20 minutes to reach Bajo de las Sombras port. From here, we’ll bring our tour to a close by dropping you back at your hotel for the evening in El Calafate. When you spend a day in a touristic day tour you never know if it will end up being good or not. 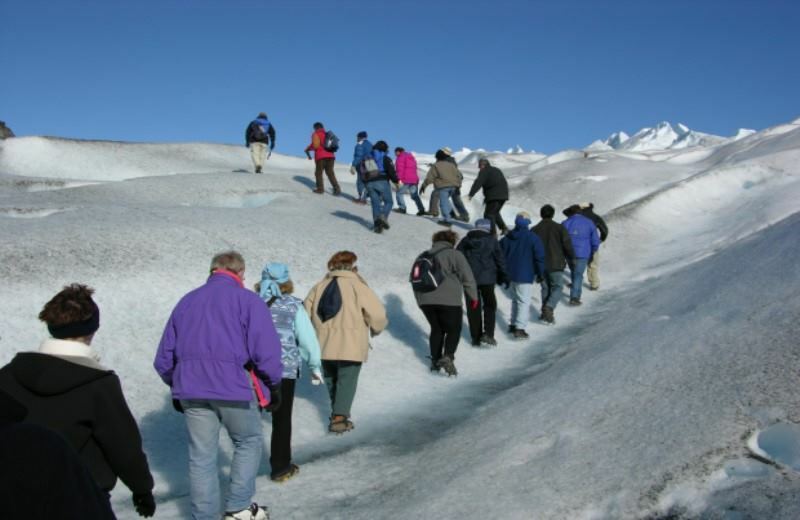 The Perito Moreno Mini Trekking is a fabulous journey over the Perito moreno Glacier. I recommend doing that full day excursion on your calafate stay. i followed a tip i read on a review and i have to admit that hiking perito moreno was cool. 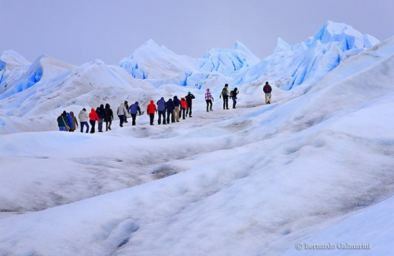 A very expensive tour that consist in a journey hiking through the ice over the Perito Moreno Glacier. nice experience. aver all recommended! Such a great tour! i have never imagined myself hiking over the ice in such an environment! You don´t need any special training nor equipment other than nice trekking boots and insulation for the cold. We were a group of 30 people from all over the world on the ice. A great thing to do in the perito moreno Glacier.